This slim design keyboard manufactured by CIT is a great way to save space on a desk. 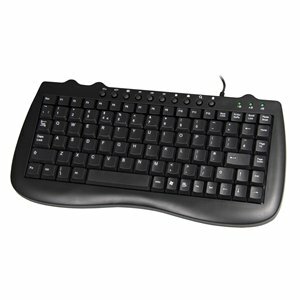 The CIT 8118 USB keyboard features an alphabetic keyboard without the keypad section, allowing for a slimmer design. The 8118 plugs directly into USB allowing for quick and easy set up and features multimedia hot keys along the top of the keyboard allowing quick access to your music, emails and more!